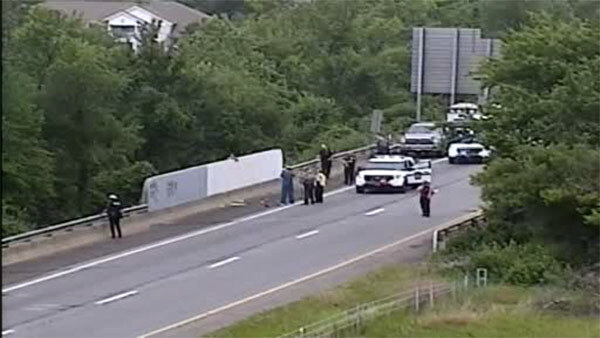 MIDDLETOWN TWP., Pa. (WPVI) -- Police activity in Bucks County shut down a portion of I-95 and impacted a SEPTA line on Friday. However, the highway is now open and train service have resumed. Southbound traffic of I-95 in Middletown Twp. was stopped for a man who was reportedly threatening to jump onto the railroad tracks below. Consequently, SEPTA's West Trenton Line briefly suspended service between the Neshaminy Falls and West Trenton Stations. The view from an Action News traffic cam showed police apparently talking to the man.